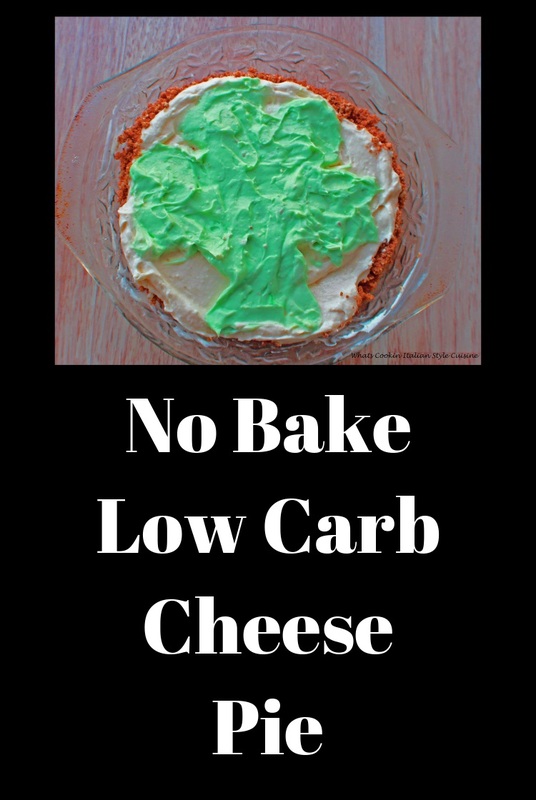 This no bake low carb cheese pie, is just in time to celebrate St Patrick's Day. This cheese pie is just as fun to make as it is to eat. 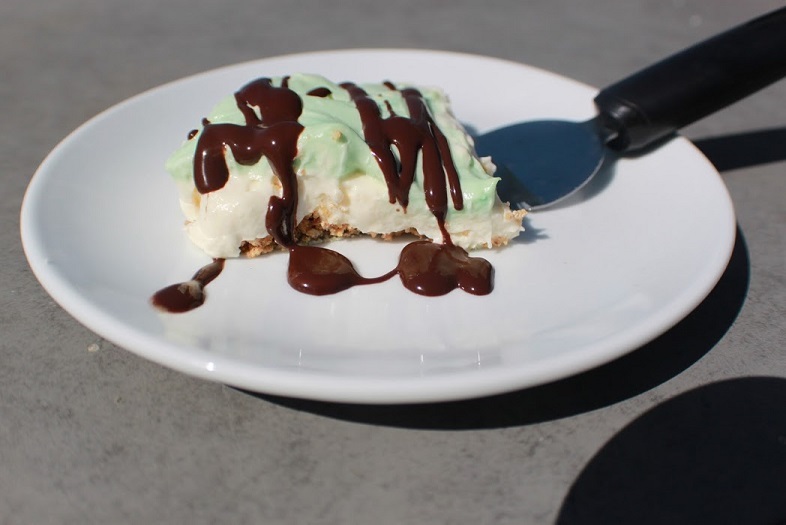 This filling is smooth and creamy and the middle is swirled into a lucky shamrock to bring on the festivities. I start out whipping up some cream cheese, milk, sugar free pudding until smooth and creamy. Pouring into a delectable oatmeal crust with coconut. It makes the perfect festive dessert anytime of the year when decorating the top of your pie for the current holiday. 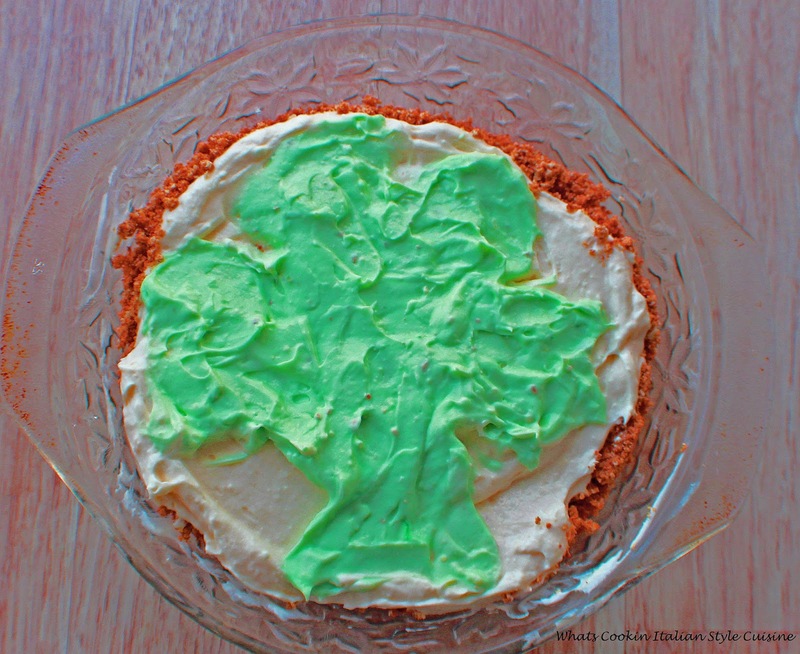 For this holiday, I tinted part of the filling green and made it into a yummy shamrock to celebrate St. Patrick's Day. Of course, you can place whatever image on your pie with coordinating colors for that Holiday that's current. Easy Fun and Creative Topping! Just make a swirling easy image on top of the pie with tinted filling. It's so much fun! I have done them for Easter bunny, Christmas tre, 4th July, star. Those are just a few of the many creative idea you can come up with. Even though I wanted to get creative for the holiday, this pie is fantastic just leaving it plain. I really dislike having to use food coloring so I try and use things that are natural dye in my food. To make it green just use spinach and water pureed in a blender. You can tint the frosting with 1 teaspoon. It won't alter the taste. Or just leave your topping plain. It's a bonus when the pie is low carb! We all decided with the delicious coconut crust in this crust and creamy cheese filling, a chocolate topping was the perfect garnish to top our dessert. 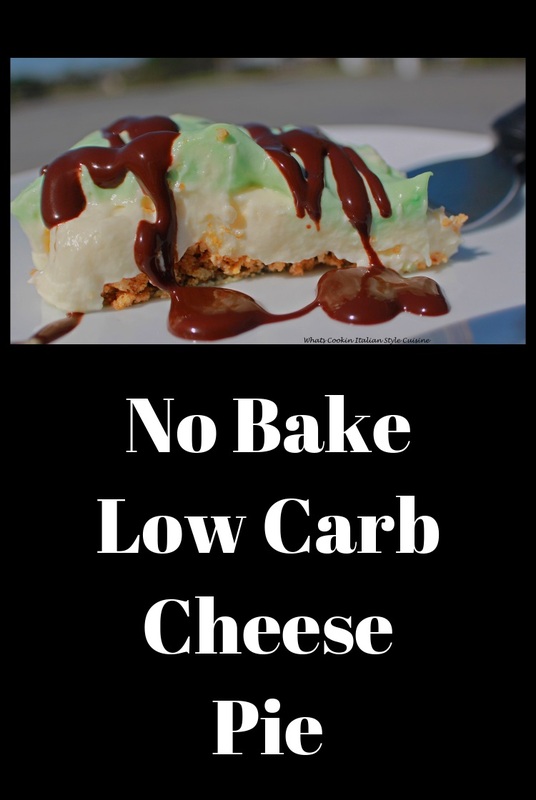 This No Bake Low Carb Cheese Pie is the perfect weight watchers dream pie! It taste as great as it looks without the extra sugar! I don't eat many desserts unless it's low calorie, low carb. I like to save my calories for healthier foods. I never feel guilty ending my meal with this delicious pie. The best part on top of being healthy, it's always a festive treat too! Since everyone's favorite candy bar is chocolate covered coconut bars or a coconut cream pie drizzled with chocolate, the combination was a winner. The pie was a huge hit! Place the cream cheese in a mixing bowl with 1 cup milk, (Irish cream is using) and whisk. Add the sugar free pudding mix and slowly add the remaining milk and beating until light and fluffy. In a food processor pulse the margarine or butter, oatmeal and graham cracker till fine. Pour the filling on top of the crust reserving 1 cup. Tint with natural spinach and water puree or use green food coloring or the color of your holiday theme. 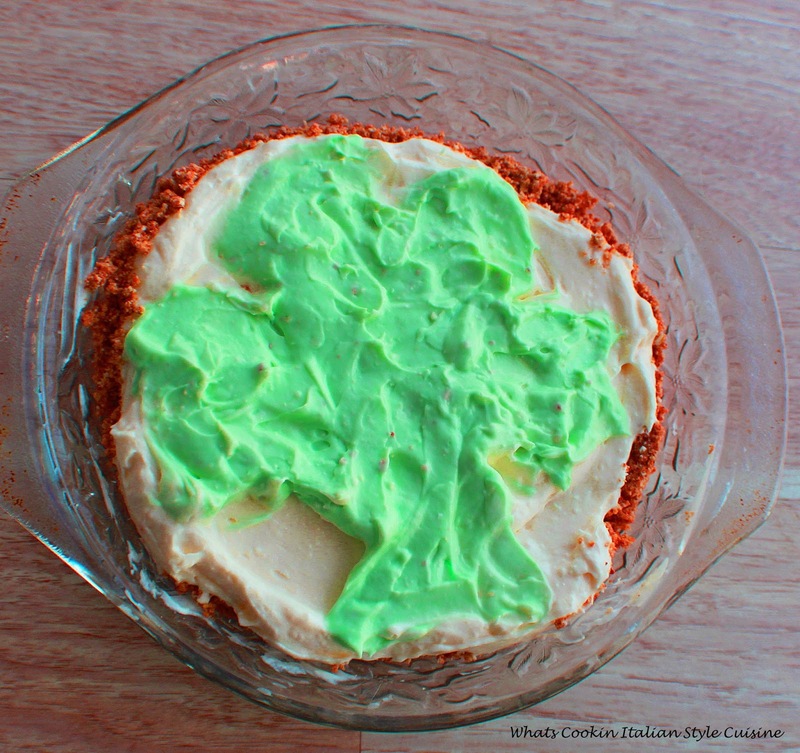 Swirl into a 4 leaf clover or favorite image with reserved tinted cheese filling. Such a festive cheese pie! Such a fun, festive pie! And that crust looks terrific!